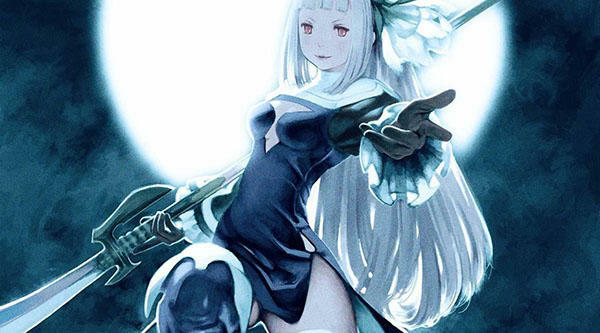 We all know that Bravely Second is going to give the blooming franchise a second chance to shine in the Western world. It's just a matter of "when?" The first sold a respectable million copies all around the planet, and its victory feels even sweeter considering Square Enix didn't initially believe the game would have an audience. With questions abounding, Producer Tomoya Asano joked about the game's English localization during a livestream with Dengeki. First up, he discussed Aimy Matchlock, wielder of the Tomahawk job class asterisk, who will be using a Hiroshima dialect in the Japanese version of the game. Using the same tactics it uses for Dragon Quest, Square Enix is looking for a similar corresponding English dialect to attach to the character. Her native American appearance seems to suggest that this is where they they are aiming for her English dialogue. Asano laughed "they're doing everything they can to give the localization translators as hard of a time as possible." As for Magnolia Arch, the game's firecracker leading lady, it is reported that she speaks fluent English in the game's universe. Why is that? Well, apparently in Bravely Default's fantasy universe, the moon in a populated place, and English reigns supreme as the official language of all who live there, including Magnolia. Interesting choice. Square Enix seems intent on taking this game far from its traditional Final Fantasy roots by adding politics and science fiction into the fray as well. Can't wait to see the final product. At any rate, it's refreshing to see that the team is considering the localization alongside the actual development. It's a much more satisfying attitude than the Dragon Quest VII 3DS remake gets, which kind of comes off more as an afterthought. Bravely Second launches in Japan on April 23, and my guess is we'll see an English release by summer 2016 at the absolute latest, maybe the final quarter of this year at the earliest.